From time to time, Yorit will present a brief talk at various bookstores and be available to sign copies of her book and answer questions. Check out her calendar of events for Date, Place and Time. 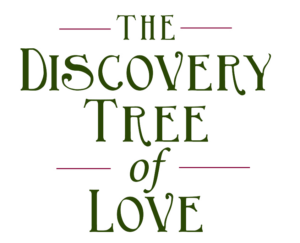 The Discovery Tree of Love uses the metaphor of a relationship being like an oak tree. Come to an author event near you to learn how couples can learn to climb together to create the life of their dreams and the dreams of their life. 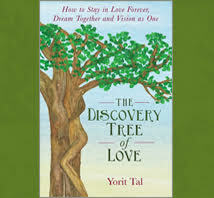 Yorit provides inspiration and practical advice for couples just starting out, married couples facing challenges or breakup, and divorced couples ready to try it another time. In the natural and pleasant atmosphere of Oak Creek Ranch, couples will work with Yorit to learn how to vision and dream together. The basis of this workshop uses art, in which the couple can choose to paint or sculpt together as a way to align their non-judgmental communication and visioning skills and learn how to create together. With wine and candles, the experience is fun, inspiring and transformative for a couple. The workshop requires 6 to 8 four-hour classes spread out over 3 months. Ideal participation is 3 or 4 couples at a time. Contact Yorit for more information. This retreat is for one couple at a time who will stay over at the beautiful and restful guest house at Oak Creek Ranch. You will converse, share, meditate, reflect and enjoy a transformative weekend with Yorit and her husband, learning how to connect with each other in loving, harmonious and joyful ways through art. You can focus on learning how to vision and build a dream together or how to overcome your challenges to ensure you stay together. Meals, wine, and hiking in the Topanga mountains are included.